High Line Park in New York is a long stretched park, on an elevated train track, in the middle of Manhattan. The park runs from Meatpacking District to Hudson Yards. It is visited by millions every year. A walk through the park offers you great views of Manhattan and the Hudson River. A welcome change to the hustle and bustle of the busy Manhattan streets. High Line Park has made great use out of a disused 2.3 kilometre elevated 1930’s train track. The railroad, which runs parallel to 10th Avenue, was used for transporting meat and poultry to the west side of Manhattan since 1934. Due to the popularity of public transportation by highway increasing, the railroad became unnecessary and closed in 1980. 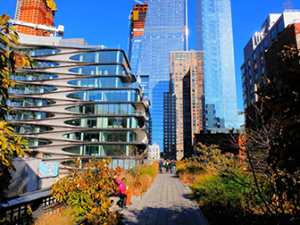 In 2003, it was estimated that development of High Line Park would cost as much as $150 million, an amount that the city didn’t have. 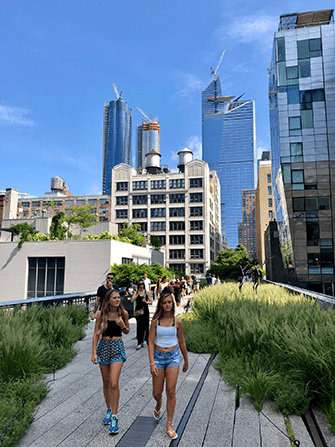 However, due to an anticipated rise in real estate prices for the homes surrounding High Line Park, which would yield tax revenue, the city decided to go ahead and build the park. In 2006, construction began on the first of three sections and, in June 2009, the first section was opened to the public. On June 8, 2011, the second part of the park opened. The final section of the park was finished and opened to the public in September 2014. 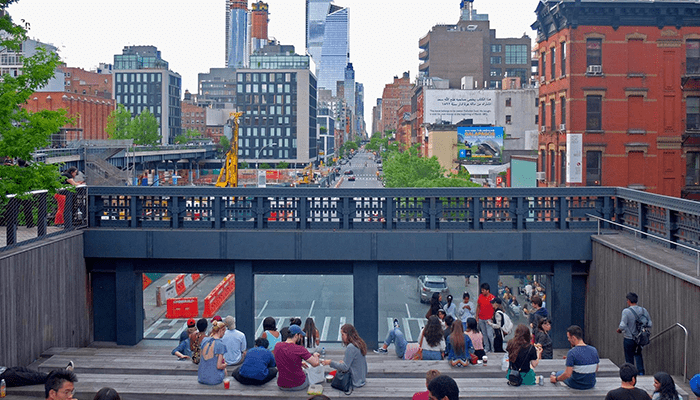 If you want to explore High Line Park while learning about its history (that dates back to 1847!) take this walking tour. On this 2-hour tour you’ll hear about New York’s “West Side Cowboys”. In addition, to hearing about the variety of plants that make the 2.33 km park so beautiful. After wandering through the park, you will visit the White Star Pier. This is where the survivors of the Titanic disembarked. The old Nabisco factory, where the Oreo Cookie was invented is another highlight of the tour. I advise to take this tour from the end of March until the end of October as the park will be in full bloom. 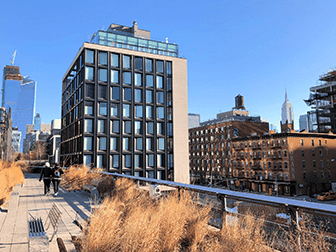 Location: High Line Park is located on the west side of Manhattan, between Gansevoort Street (Meatpacking District) and West 34th Street, at the height of 10th and 12th Avenue. 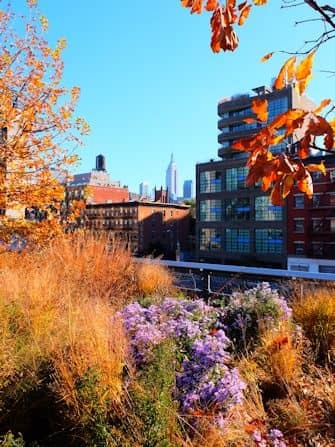 Eric’s tip: To me, the High Line Park is a unique and extraordinary park in New York. The park has beautiful vistas, a unique view of the city, and ‘urban nature’. 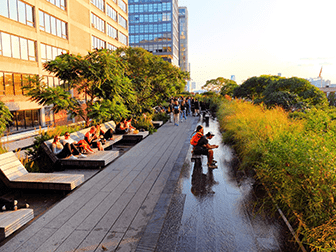 In the spring and summertime, High Line Park is at its best. In the winter, you won’t see the foliage, but the park is still worth visiting.